Crab wrote only two paragraphs in his memoir about the winter of 1863-64, which followed the battle of Gettysburg. We were inactive after [Gettysburg] generally, until the spring of 1864. Nothing of great interest occurred to me except much marching, sometime without shoes or very poor ones and often without provisions, except green corn or apples for several days at a time. on them. As I said, I was an officer and was placed in charge of a pioneer corps and worked much on the roads. I would often get orders direct from Gen’l Lee, who would ride out often with his wife to see how I was progressing with the work. from Tennessee. Lee had detached these men in the fall of 1863, and they took part in the battles of Chickamauga and Missionary Ridge. The review did not include the Second and Third Corps of the army. Those two corps had never left Virginia. Thus Crab and Judge were not present. 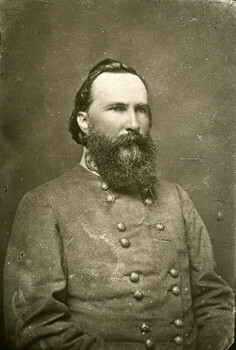 Gordon Rhea wrote that, “A bugle sounded, 13 cannon roared, caps flew high, flags dipped and waved, and drums and fifes struck up ‘Hail to the Chief.” Rhea, The Battle of the Wilderness, May 5-6, 1864 (L.S.U. Press 20014), p. 21. 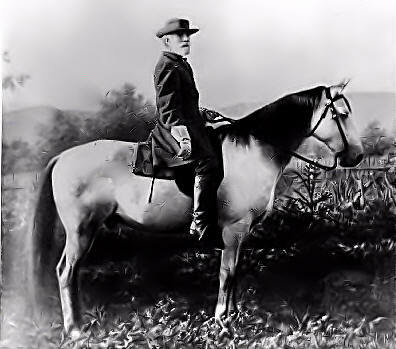 Alexander, the eye-witness, wrote: “[A] wave of sentiment – something like what came a year later at Appomattox when[Lee] rode back from his meeting with Grant – seemed to sweep over the field. All felt the bond which held them together. There was no speaking, but the effect was as of a military sacrament. A chaplain asked Lee’s aide-de-camp: “‘Does it not make the general proud to see how these men love him?’ [Colonel] Venable answered, ‘Not proud. It awes him.’” Military Memoirs, 494.